Call 800-298-8924 to order Furrion accessories and parts part number FUTVRS1-BL or order online at etrailer.com. Free expert support on all Furrion products. 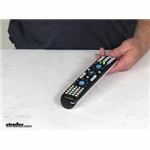 Guaranteed Lowest Price and Fastest Shipping for Furrion Unismart Universal Remote Control. Accessories and Parts reviews from real customers. Speaker 1: Today we're going to take a look at the Furrion Unismart universal remote control. Now, this Unismart remote control will allow you to control all of Furrion specialty vehicle entertainment systems, TVs, and even their electric fireplaces, with just this one remote. Now, it does require two AAA batteries to power it. They are not included. You would have to supply those. And the length on this is about nine inches long, and about two inches wide. But that should do it for the review on the Furrion Unismart universal remote control. These unismart remotes are designed for furrion fireplaces only. If you have a furrion fireplace then you should be able to hit the button at the very bottom of the remote to activate your fireplace. I was able to track down the install and programming instructions for the remote that comes with the Furrion televisions and attached them to this page. You can use the Furrion Unismart Universal Remote Control # FUTVRS1-BL to control the functions on your Furrion television. This requires two AAA batteries, not included. If your RV also happens to have a Furrion fireplace this one remote will work for that too. Universal remote # FUTVRS1-BL is compatible with Furrion brand fireplaces. While it might work with other brands it has not been tested so I can't guarantee it would work with anything other than a Furrion unit. The 4 buttons at the bottom are the fireplace controls. To enter fireplace mode tap the TV/Fireplace button and then use the buttons on the bottom to control the fireplace. I spoke with a representative of Furrion who told me that the Furrion Unismart Universal Remote Control # FUTVRS1-BL is compatible with the Furrion DV3200 Stereo. Was your Furrion TV made before 2016? If it was then you need the remote part # Y-72C1 instead of the remote part # FUTVRS1-BL that you purchased which is for Furrion TVs made after 2016. If you have the correct remote let me know and I can help you troubleshoot further, but this is the most common reason why a replacement remote won't work with a Furrion TV. Yes, you can purchase the replacement Furrion universal remote control, # FUTVRS1-BL, separately from the Furrion HD 24" television, # FUTVRS1-BL. You do need the remote for the Furrion Stereo # DV3300 to set the clock of it. If you are missing the remote the correct replacement we have would be the universal style remote part # FUTVRS1-BL. As you can see by the cut out of the linked installation instructions for the Furrion Unismart Universal Remote Control # FUTVRS1-BL you need to press the "TV" button in order to control your fireplace. The fireplace you have does need to be a Furrion Electric Fireplace such as # F30SW15ABL in order for it to work. 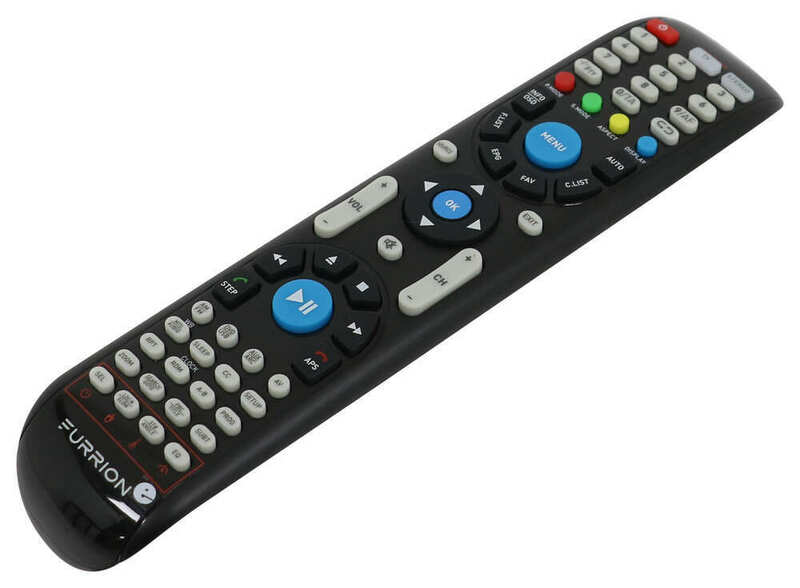 Yes, the Furrion Unismart Universal Remote Control # FUTVRS1-BL will work to control your Furrion television as well as any other Furrion electronics in your RV, such as a DVD player. You will need to supply the two AA batteries for the remote. The linked video will provide more details on this item. For your Furrion RV TV the replacement remote part # FUTVRS1-BL that you referenced is a confirmed fit and would work well. We have the Furrion replacement remote controller part # FUTVRS1-BL which would work well for you as it is an exact replacement for what you have. The Furrion Unismart Universal Remote Control # FUTVRS1-BL is programmed to control Furrion brand televisions and entertainment consoles. If you have a different brand TV this would not allow you to control it. For a replacement Furrion remote we have the part # FUTVRS1-BL which would work well for you. If you have a Furrion Electric Fireplace in your RV/trailer the Unismart Universal Remote Control # FUTVRS1-BL that you referenced can control it by first pressing the Fireplace/TV button at the top of the remote. You should then be able to operate the fireplace by using the 4 buttons at the bottom of the remote that are outlined by a red box. If you do this and the remote still does not work the fireplace please let me know and I will be happy to look into this further. Yes, I confirmed with my contact at Furrion that the Unismart remote, part # FUTVRS1-BL, does work with the # DV3100 stereo. For a replacement remote that will work great with your Furrion TV, I recommend the Furrion Unismart Universal Remote Control # FUTVRS1-BL. This is compatible with your existing TV and it features nice, raised buttons and a sleek design that's easy to handle. I have attached a short video demonstration on this product that you can also take a look at. A remote control is needed to set the clock for your Furrion HDMI Stereo # DV3300, as outlined in the instruction manual, a cut out of which I added for you to see how to set the clock. Thankfully there is a replacement available, the Furrion Unismart Universal Remote Control # FUTVRS1-BL which will work with the # DV3300 and allow you to set your clock, as well as control the stereo's other functions. I have added a link to a video review of this remote for you to check out. 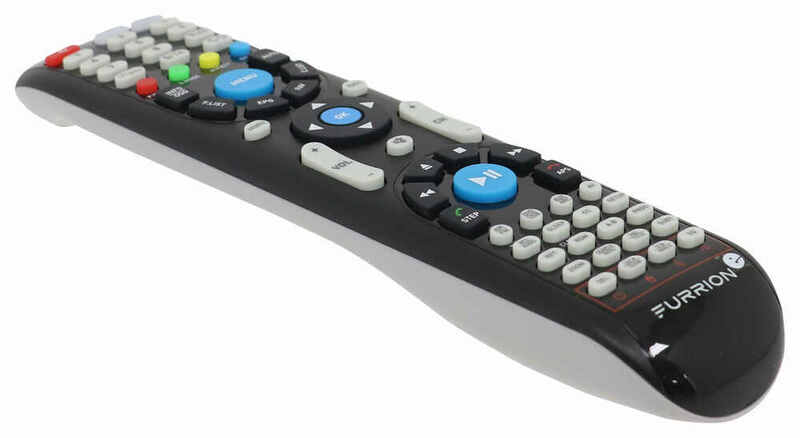 Furrion Unismart Universal Remote Control # FUTVRS1-BL will work as you stated. You will hit the tv/fireplace button and then use the bottom 4 buttons for the remote. If it is not working, you will need to refer to the owners manual of your fireplace for more information according to the instructions for the remote I've attached. Most fireplaces have a remote control button that you need to select for that use. For the Furrion Unismart Universal Remote Control # FUTVRS1-BL I have linked some photos of the instructions to help as that is all that is currently available.